This is one of the simplest desserts and takes no time to prepare. It's a chocolate lover's dream. Beat CARTE D'OR Chocolate Mousse Dessert Mix with the milk until thick. Refrigerate. 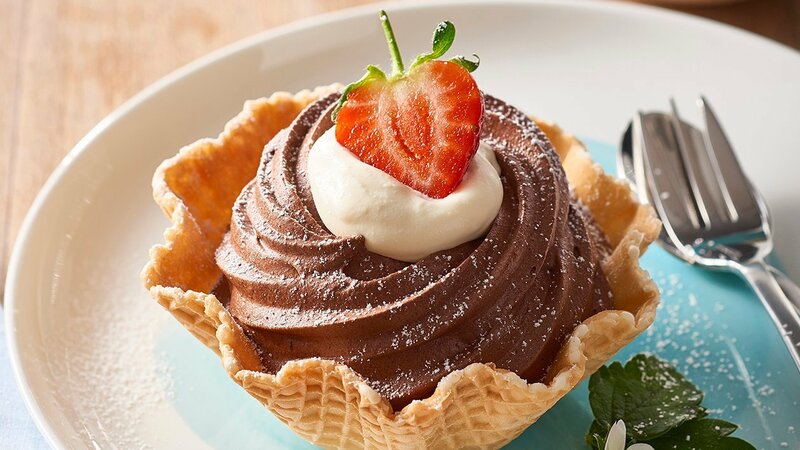 Pipe chocolate mousse into waffle baskets and top with the whipped cream and strawberries. Waffle baskets can be purchased through your regular food suppliers.